Last week, our we discussed details about designing replacement windows for Colonial and Ranch style homes in our Choosing Replacement Windows & Patio Doors to Complement Your Home’s Architecture series. This week our Renewal by Andersen of New Jersey and New York Metro team will discuss window styles for Craftsman and Bungalow homes. Last week in our introduction to this Renewal by Andersen of New Jersey & New York Metro five-part series Choosing Replacement Windows & Patio Doors to Complement Your Home’s Architecture we promised to give you some helpful information about diverse replacement window styles and accessories that either complement your home’s architect, and how to design new windows and doors for performance and beauty. So, as promised, let’s look at the Colonial, Ranch and other tradition home styles and how to avoid some common design mistakes. Renewal by Andersen of New Jersey & New York Metro is excited to announce the introduction to our five-part series: Choosing Replacement Windows & Patio Doors to Complement Your Home’s Architecture. Small Business Saturday is a national program designed to encourage local New Jersey and New York metropolitan residents (and people all across our nation) to spend the day supporting local businesses in their cities and neighborhoods. The initiative designates one weekend every November to remind shoppers that patronizing local enterprises is good for everyone – local residents, our planet and small business owners that often struggle to compete with big box stores and national brands. Should You Replace Your Windows If You Plan to Sell? If you’ve been thinking about installing replacement windows to increase the resale value of your New Jersey or New York home, you may wonder what the 2019 housing market is going to look like. While there is no definitive way to project trends with 100 percent accuracy, we did some research and this is what the Renewal by Andersen of New Jersey and New York Metro team found. Unlike 2018, which started off with buyers scrambling to make an offer on desirable properties before someone else grabbed them up, 2019 is not shaping up to be as hot a seller’s market. But, homeowners willing to offer high quality properties at competitive prices and wait patiently for the right buyer, will find their patience paying dividends. Industry experts who monitor housing inventory and buying trends say that sellers should keep these projections in mind when they decide whether to update properties before putting them on the market. #1. Interest rates are rising. Cash-strapped buyers may not be willing, or able, to push the budget limits to move into a larger home. And, those who are willing to pony up are going to be looking for an affordable home that won’t need a lot of fixing up to be move-in ready. #2. The tighter inventory driving higher prices in 2017 has softened. It looks like inventory – mostly in the mid-level and higher price tiers – should increase by 10 to 15 percent this year. That means properties selling for under $250,000 will still be in limited supply. Younger couples looking for homes may be willing to pay more for houses with energy-efficiency features that reduce monthly bills and make their lives easier. #3. It is going to more expensive for everyone to buy a single-family home in 2019. With mortgage interest rates expected to top out near 5.5 percent, and selling prices expected to rise between 2 and 3 percent, some people may choose to invest in co-ops or smaller townhouses. The bottom line on housing market fluctuations in New Jersey and New York is that sellers need to view their investment from both sides. 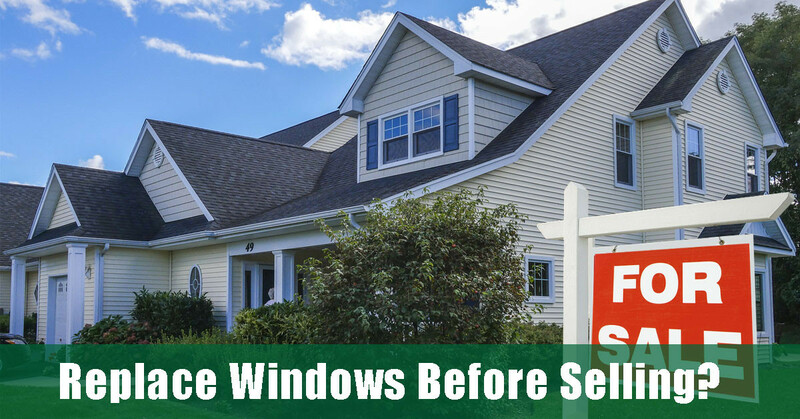 If you plan to sell your home immediately, you can expect to recapture about 75 percent to 95 percent of your replacement window project investment, depending on the overall condition of your home, the location, and housing inventory in your area. Remember that those higher mortgage interest rates and increasing selling prices will affect you, should you decide to buy another home in the region. Are Replacement Windows the Right Choice For You? When your existing windows no longer perform up to par – they leak air and moisture, frames are weak or sagging, they don’t open and close easily, outside noise comes through a closed sash as easily as an open one – installing replacement windows is definitely going to make your home less expensive to maintain and more comfortable for your family. And, if you want to increase property value, there are few upgrades that offer more significant ROI. Whether you choose to renovate your property, put it on the market and patiently wait for the perfect buyer, or you decide to fix all the issues that made you want to move in the first place, we invite you to schedule an in- home consultation with a Renewal by Andersen of New Jersey and New York Metro replacement window specialist today. Just fill in the short form on this page or dial 1-888-826-2451.